Contemporary styling with sturdy 18 gauge powder coated steel frame and upholstered vinyl seat. Features designed for commercial or home usage. 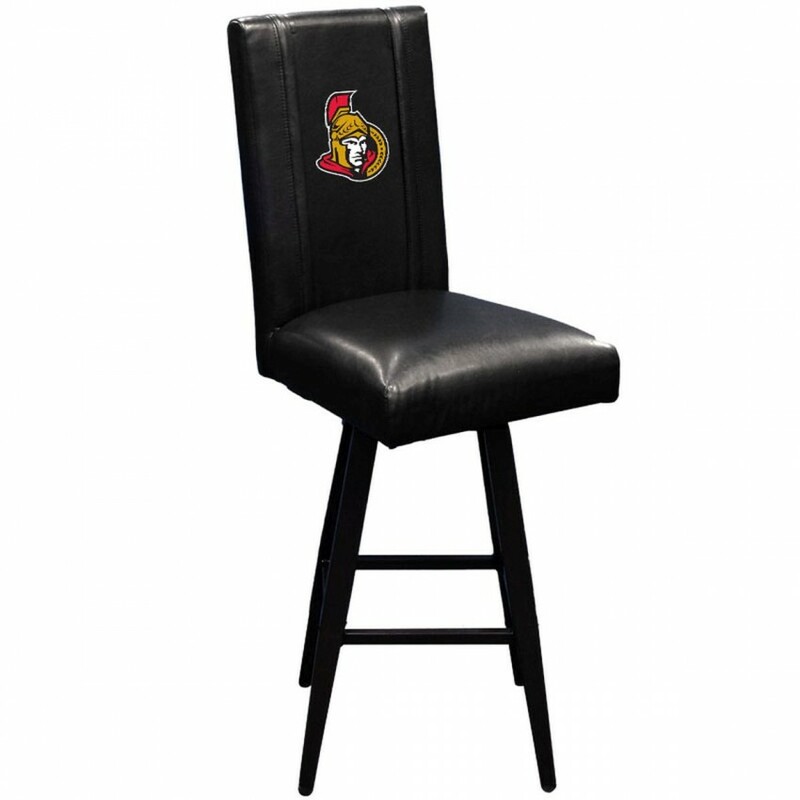 Additional back logo option - swivel base available. Celebrate Steve Smith's big game against his former team, the Carolina Panthers. Steve Smith had 7 c..
Each collectible comes with a mosaic player image and a piece of team-used basketball from a Clevela.. This classic team football features an embroidered team logo prominently displayed on the front and ..
Commemorate the Duke Blue Devils as the 2015 Men's Basketball National Champion with this display ca.. The Florida State Seminoles Golden Classic helmet display case comes with a black acrylic base and g..
Machine-Made Tufted. 100% Premium Nylon Pile. Made in the USA! Cleveland Cavaliers 2'8"x3'10" NBA Te.. This 8'' x 10'' photograph has been personally hand-signed by Trent Richardson. It is officially lic.. In Super Bowl XXIV on January 28, 1990, the San Francisco 49ers defeated the Denver Broncos 55-10, b.. Double footballs equal double the fun! Our Natural Color Framed Base football case has room for 2. I..
NEW! Our cabinet style 9 Puck mahogany framed display case will showcase your 9 autographed pucks wi.. The Northwestern Wildcats wall-mountable logo football display case is made of 1/8"-thick acrylic wi..